Oh, "G," that was easy. Gotta tell you, these introductions are getting tedious, but the ABC's of Writing Train must press onward. 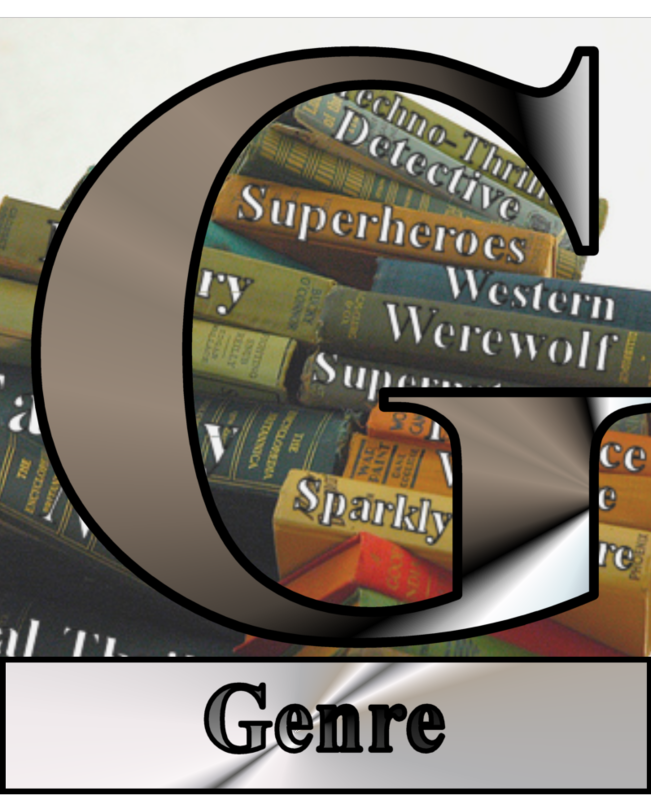 "G" is for genre. I am unabashedly a genre writer and a genre reader. This doesn't mean I never read literary fiction, non-fiction, or the occasional self-help book. What it does mean, however, is I enjoy escapist fare. If said escapist fare has a point to make, so be it. Give me science fiction and fantasy, bring me a gripping techno-thriller or a frightening medical thriller. Throw in a superhero or two. As for the vampires, others can feel free to enjoy them. Same goes with horror books. Just don't stop writing 'em.